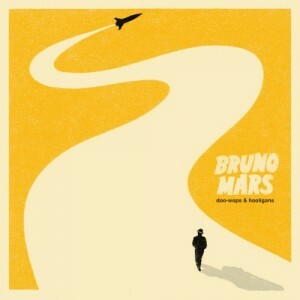 After his hit song “Nothin’ On You” with B.o.B, “Billionaire” with Travie McCoy, Bruno Mars releases his first debut album titled “Doo-Wops & Hooligans”. Good in what sense? In the sense that you might want to leave it playing in your car for a while. It won’t tire you right away, unlike other albums, instead, from what we already know from Bruno are his catchy lyrics and easy beats that make the songs easy to learn. While I was listening to the album I found myself…you know it, jamming. Some of my favorites are “Grenade”, “Liquor Store Blues” ft Damian Marley and “The Lazy Song”. Bruno gives the audience the beach-y relaxed sound as well as the upbeat dance/pop sound that make most of his songs hits. Some people call Bruno Mars the0″best new artist of 2010″, do I agree with this? mmm for now I’ll give it a yes. Now we shall wait and see what else Mr Mars has to offer for us in the future! “Doo-Wops & Hooligans” is out in stores now. Next ArticleWinner of the signed copy of MOCKINGJAY has been selected!